Like any other component of your building, your roof will require frequent updates and maintenance to make sure it continues to do its job. A roof full of cracks and made of old, weathered materials will cause more problems than it solves, and your wallet will surely feel the impact. The following are some commercial refurbishment ideas if you want to save some potential costs on your old roof. Over-cladding is a simple and cost-effective way to further insulate your roof and make it look like new. Regardless of how old your roof is, over-cladding it will provide a new look and added protection. This is a good option for if your commercial roof is approaching its end of life. If your roof is older than 1995, consider over-cladding it. 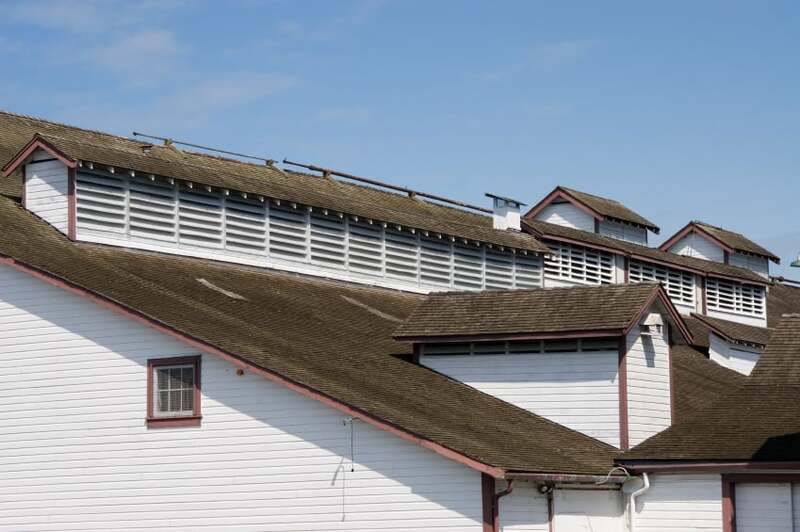 If your roof is much older, stripping and re-sheeting it is a rather intricate process that may be a necessity to preserve the life of your building. Stripping and re-sheeting your roof is essentially replacing it. You’ll have the dual benefit of repairing the damage of your older roof while replacing your roof with a possibly more viable protective layer, such as steel. The signs to look for with roof replacement are the general tell-tale signs of roof damage. Water damage and damp spots on the inside of the building are a prime sign that your roof is not doing its job and needs to be replaced. If your interior is showing signs of damage, it is already deep and worsening, so stripping and re-sheeting your roof may be the end-all solution to your current roofing woes. Asbestos fibers released into your building can cause respiratory and other health problems for employees, which is something no one wants to experience. A good business owner takes care of their employees as well as their profits, and so asbestos management is a very commercial refurbishment for older buildings. One of the ways to do this is encapsulation, which is to encase the asbestos in a sealant-like membrane that prevents the fibers from leaking out. This sealant may simply surround the asbestos or be injected into the asbestos itself to bind the components together. If your heating system is leaking from valves, you may need to remove asbestos-containing insulation altogether. In either case, it is important to contact a professional to identify your problems and advise on the best solution. The more you wait on asbestos-related issues, the longer your employees may be unknowingly suffering from asbestos-related side effects. If your roof is performing satisfactorily, but your gutters are leaking, a simple solution is to simply line your gutters with a protective layer to prevent leaks. This is a less intense commercial refurbishment than the one above, but may prevent the same problems. Leaking gutters may still result in water damage during rain, as water is going where it is not supposed to go. If you notice that your gutters are struggling to drain properly, consider lining them. For help with any of the commercial refurbishment services above, contact us or visit our site.